A Kaduna-based Chieftain of All Progressives Congress (APC) and National Coordinator of Buhari Awareness and Voters’ Guard, Engr. Kailani Muhammad on Monday said, there was no alternative to APC presidential candidate, Muhammadu Buhari come 2019. 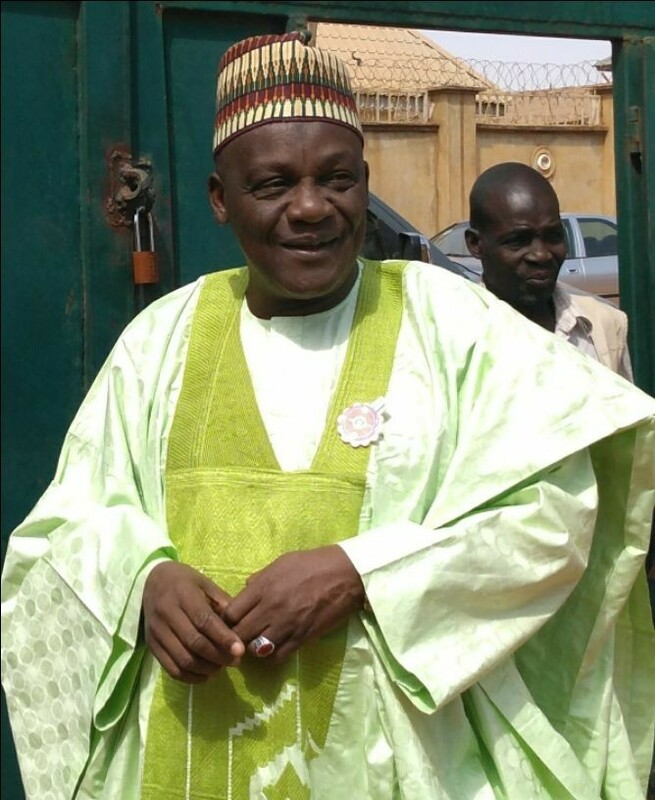 Kailani, who addressed newsmen at his Kaduna office in Rigasa also said that, the People’s Democratic Party (PDP) presidential candidate, Alhaji Atiku Abubakar could not be trusted with the economy of the country, citing several cases of financial misconduct allegations levelled against him while he was the vice president between 1999 and 2007. To him, while most Nigerians across board see Buhari as reliable and predictable, many doubt Atiku’s credentials because it has enmeshed in so many fraudulent allegations for a long period of time. Stating Buhari’s achievement upon why he should be reelected for a second term he said, “in the three and a half years in the saddle, despite the challenges, Buhari has impacted on all partied the country through construction if 25 major roads and infrastructure in all the six geo-political zones – through the N100 billion Sukuk Bond issued in 2017. “For his foresight, the railway will soon be fully operational. Very soon, the Mambilla hydro power plant will generate 5,000 MW electricity. The Anchor Borrowers Scheme has made hundreds of peasant farmers to become millionaires overnight. “Nigeria’s economy is back on the path of growth, after the recession of 2016-17 (1.95 percent growth in Q1 2018), as the agriculture and solid minerals sector maintained consistent growth through the recession. External reserves rose to $47.5 billion, the highest in five years. On Atiku he said, “$16 billion entrusted in Atiku’s care for the upgrade of power supply infrastructure disappeared into thin air and in 2007, the Senate pannel, chairs by Victoria Ndoma-Egba and the Economic Financial Crimes Commission (EFCC) indicted Atiku for diverting $145 million meant for the Petroleum Technology Development Fund (PTDF) to various bank accounts linked to him between 1999 and 2006. “He was indicted by firmer Inspector General of Police, Mike Okiro panel for sharing $74 million proceeds of the famous Halliburton bribe scandal to other top officials of the corrupt administration in which he served. “Atiku collected N100 million from former Governor of Plateau State, Joshua Dariye, being state’s ecological funds. When Dariyey confessed, former President Olusegun Obasanjo refunded his portion but Atiku held on to his till today and walking freely while Dariye is cooling off in jail,” he alleged.